A Queen's Professor of Criminology played a seminal role in getting to the truth about Hillsborough. The campaign to clear the names of the 96 Liverpool fans who perished at Hillsborough Stadium, Sheffield on 15 April 1989, was greatly informed and shaped by Professor Phil Scraton. On 26 April 2016 the jury at the most recent inquests into the stadium disaster determined that the 96 people who died were unlawfully killed, marking a major milestone in the bereaved families’ journey for justice. 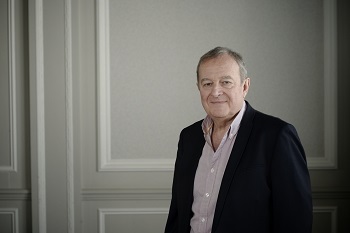 Phil Scraton's in-depth research into the context, circumstances and aftermath of the Hillsborough disaster includes the publication of two influential reports, published in 1990 and 1995; numerous academic articles; and the much-acclaimed book Hillsborough: The Truth. His critical analysis of the investigations, inquiries and inquests into the controversial deaths of 96 men, women and children at an FA Cup Semi-Final in April 1989 was instrumental in the Home Secretary establishing the Hillsborough Independent Panel to review hundreds of thousands of documents held by over 80 organisations. In January 2010 Phil was appointed to the Panel to head its research, based at Queen's, and was primary author of its 395-page report. He presented the Report's 153 key findings to over 300 bereaved family members at Liverpool's Anglican Cathedral in September 2013. The Report, alongside the on-line archive of all disclosed documents, resulted in a 'double apology' to the families and survivors from the Prime Minister and Government ministers; a new criminal investigation; an Independent Police Complaints Commission investigation; the quashing of the 96 'accidental death' inquest verdicts; and the ordering of new inquests and a review of emergency planning across the UK. exemplar of methodological innovation, policy relevance and public engagement. It has set new standards for truth recovery, corporate responsibility and institutional accountability. Phil won the inaugural Queen's Vice-Chancellor's Award for research impact in December 2012, and his work was highly commended at the 2013 THES national awards for research. In 2014 an ESPN/BBC documentary based on his work was nominated for an EMMY. Professor Scraton provided extensive submissions to the 1997-98 judicial scrutiny undertaken by Lord Justice Stuart-Smith and his book Hillsborough: The Truth is widely accepted as a definitive account of the stadium disaster and its aftermath. He also provided advice to the families' legal teams during the Hillsborough inquests. In April 2013, Professor Scraton gave a presentation entitled Recovering Truth, Informing Justice about his research and findings at a lecture in the Sir William Whitla Hall at Queen’s. A video of his presentation can be viewed here. Media inquiries to Michelle Cassidy (Thurs-Fri) or Anne-Marie Clarke (Mon-Wed) at Queen’s University Communications Office telephone: +44 (0)28 9097 5310.